One of my favorite design elements is repetition. Nothing gives more impact in a commercial or residential space than one great product, color, pattern, or shape repeated throughout a space or repeated to create one unique unit. The re-occurrence of elements are important to create unity in a home or individual room. Too much change causes the eye to not have familiar objects or colors to become accustomed to. Repetition gives reassurance and comfort in design. The consistency makes us subconsciously more comfortable in our surroundings. Repetition is also great if you are desiring more impact. If you are seeking, drama use one great object, color, or pattern again and again in a space. 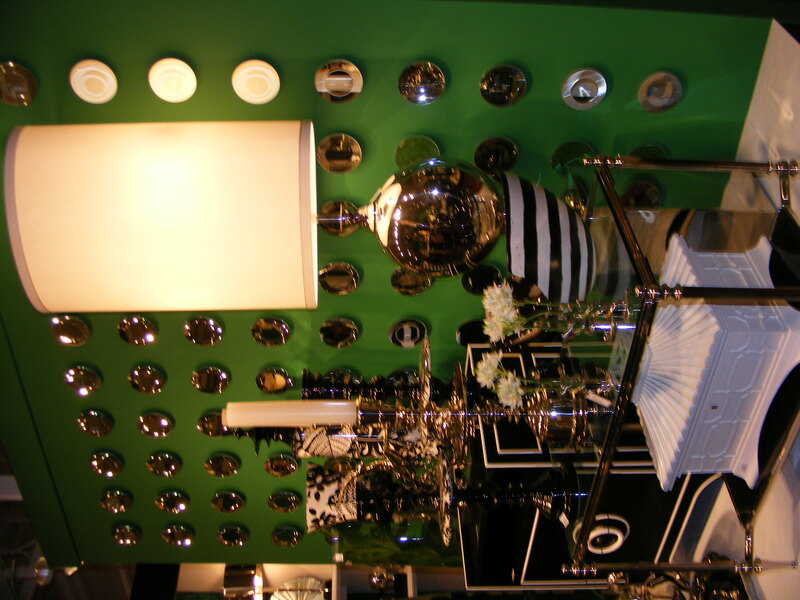 One of my favorite looks is repeated mirrors, frames or other decorative objects grouped on a wall. 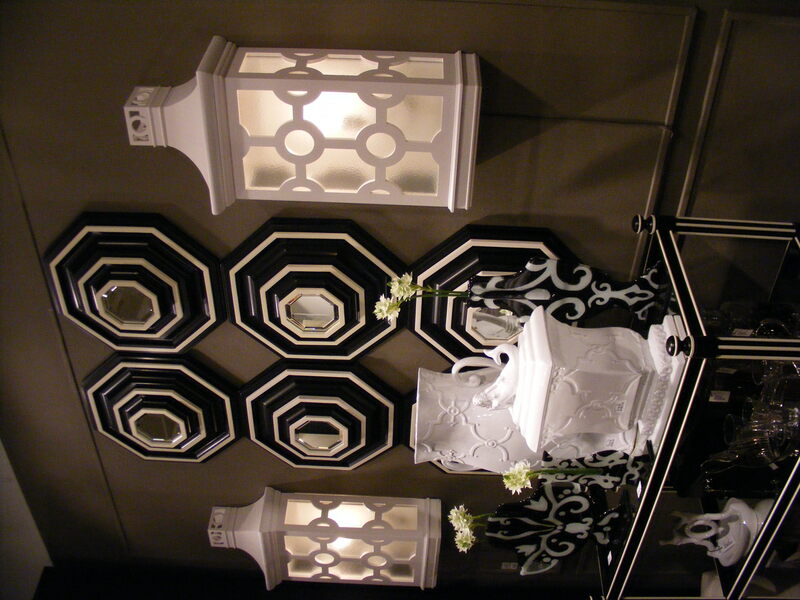 Both of these pictures above and below show great repetition from Global Views, one of our favorite vendors (taken from the Las Vegas Market last year). One item on its own is insignificant, but grouped together makes such a feature and adds excitement and scale. You don’t have to do as many as above! A group of 6 is sufficient. I’ve used lighting for repetition, finish work, color, fabric, interesting objects, simple objects (repeated gives flair), wall art, and wall objects. In the right application, even furniture can be a great repeated element.